There are many things to look at before hiring a commercial electrician. However the most essential factor that you should consider is the level of experience. Indeed if you’re a business owner renting a corporate building, you want to make sure that whatever electric issues you’re dealing with will be fixed in a timely and effective fashion. 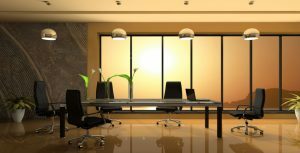 This article discusses the various factors to take into account when looking for a commercial electrician. There can never be enough emphasis on the importance of experience when it comes to professional electricians. Just like it’s the case with residential homes, commercial buildings are prone to electrical issues. This is especially true if the property owner has failed to keep up on scheduled maintenance. Regardless of the problem that your company is dealing with, a qualified electrician, such as WCI Electric, will know exactly how to handle it properly by using their extensive experience. Another factor to consider before hiring an electrical services company is the license and credentials. You should definitely check that the company has the right set of certifications to do the job for which it was called since these vary from one state to another. WCI Electric is an example of commercial electrical services company that holds the required state certifications to conduct its business operations. As a small business owner, you know the value of time. So if your building happens to experience a power-related issue, you must choose a commercial electrician that can quickly restore power and minimize the losses incurred by the loss of productivity. Also you need to be able to rely completely on the diagnosis made by the professional electrician since you don’t know anything about electrical issues. At WCI Electric, we have an experienced team of certified professionals who are very knowledgeable about electrical issues. If you need our help, please contact us today and we’ll come fix your problem in a timely fashion.